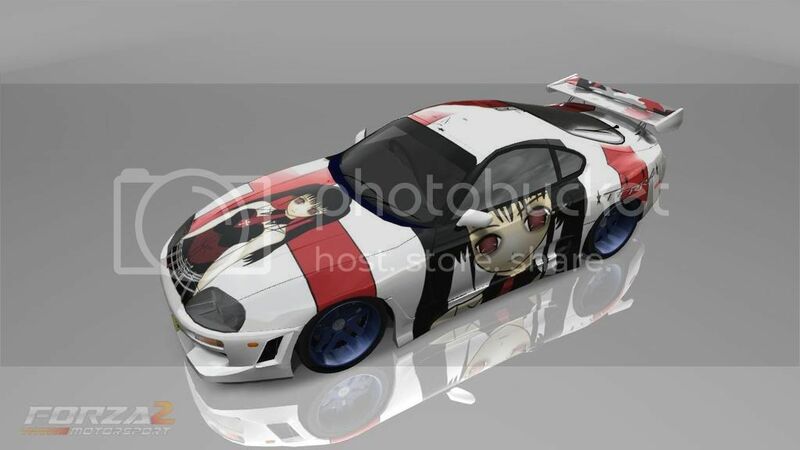 Forza Motorsport Forums > Forza Horizon 2 > Fantasy Paint Booth > Horizon 2 360 Designs available . . . Horizon 2 360 Designs available . . . I friend lent me a copy of Horizon 2 on the Xbox 360 not long before Christmas - I've uploaded a selection of my designs some of which will date back to Forza 3 I'm afraid. The good news is none of them cost more than 5k and some are free. I've not uploaded pics of everything in my storefront. To be honest had to download firefox as a browser just to access the gallery on here as IE isn't supported on my clunking old XP laptop anymore lol - so didn't really see the point if I couldn't get to them! If this works and the cars show, hopefully someone might find something they like and have fun in it. If I get time to paint something new before I hand the game back, I'll let you know. Been spending way too much time running rivals just recently to paint much but you never know. Excellent paints, Im gonna have to dust off the game and get me some. Especially the IT and Spawn. Thanks, seems to be a bit of a lack of fantasy paints about on the 360 version - not sure if that's because most of the painters have already made the move to the one or not. Unfortunately funds are somewhat tight at the moment, so not looking to pick up an xbox one in the near future at least. & updated the first post with a couple of others that are in my SF already. 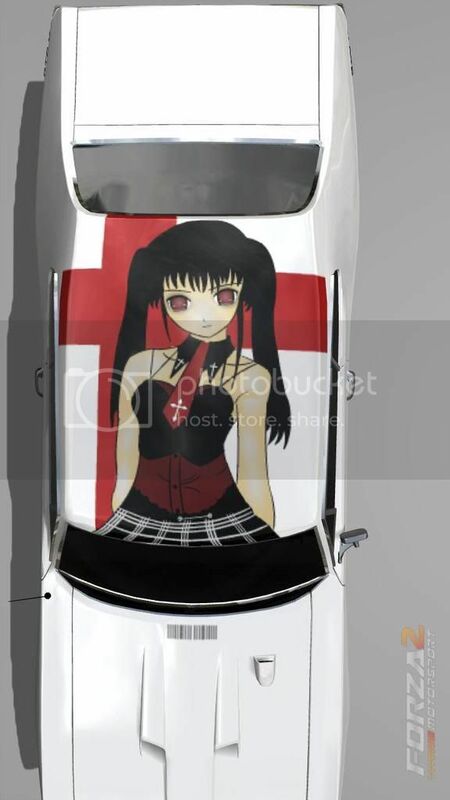 Was moving this car across when I thought I'd check out some other Sha_do designs and found that Greddy design and thought I'd give it a go - not really a replica as the original was on an MX5 variant but different to my normal paints to be sure. Comments always welcome and should you happen to download a design, try to take the time to rate it. Looking good D!! Long time bud, glad you're still around and kicking. Cheers Loco, still around. I had a break from forza for a while - tried going out with other games, never really clicked with any of them, although games with gold has been good to me lol but Forza has a way of drawing you back in. Good to see you're still around as well lad, hope all is well with the ECT crew, hoping to make my way over to the Xbone in the summer, will try and catch up with everyone then. The forums have changed quite a bit since my last stay on here, I mean they were slowly getting quieter then but now it's like they've locked up and left but the lights are still on. Very nice designs and I do remember some of these from past games. Thanks xGothicGorilla - The storefront did make it massively easier for a painter to get their designs out there. The only drawback being you lost that personal touch of who had bought/ downloaded your designs. Still that was a marked improvement on FM2 where you might have spent a couple of hours building and painting cars to sell to the community at a reasonable price only for one or two guys to buy them all up for future re-sale at a mark up. I've tried to point out if the designs I've put up were new or previously available - I used to have some gallerys on here from winning the weekly comps but either I can't find them or they were nuked in some kind of major revamp I missed lol but I assure you these are all my own works in case you were wondering. 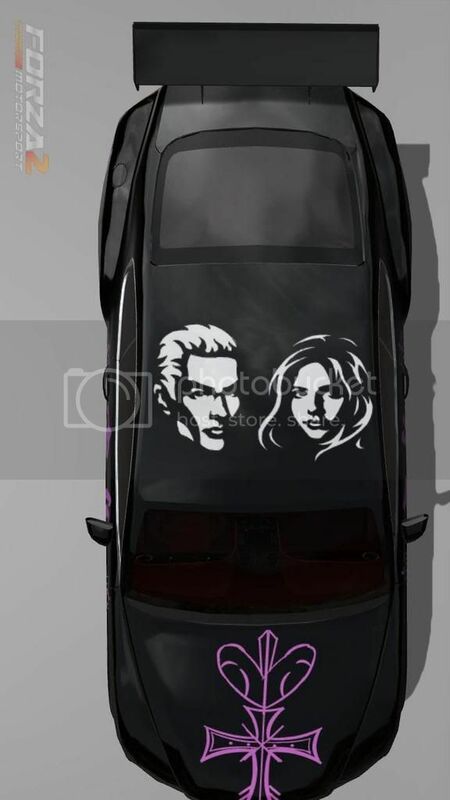 Funnily enough had reason to put forza 3 in tonight and was surprised how many of my designs I'd done on that game, I think rivals took over in fm4 and I spent more time doing that than painting anyway I digress. I'm glad you liked my paints and appreciate you taking the time to post. The profiteering was a problem in FM2 but I do miss the activity in the forums and the excitement of almost weekly garage releases. I have no doubt your designs are of your own work as I do remember you being a active community member. Great to see you again D! Those are smoking hot designs. Aye xGothicGorilla, that's sort of what I was trying to say about the SF making it a little more impersonal. In the FM2 days, in some cases the only way to get the paint was to post on the forums. You got to know the artists you liked and chatted to them, they got to know who liked their work and got good and bad feedback (not always a bad thing). New releases were anticipated events, there were people 'camping' in the AH waiting for cars to appear. There just seemed to be more going on. It's interesting to consider it may have been a totally unintended side effect of the SF that it negatively impacted forum posts and I suppose forum traffic in general. But hey there I go digressing again. Good to see a couple of familiar GT's stopping by, how are you gentlemen getting on - well I hope. Those look great - would be awesome if they automatically were available on Xbox one too! My lord...These are fantastic. and these are all done with stock vinyl shapes? I just can't even fathom how one does that. Thanks for the comments gentlemen - NZ Buc, it would be good and bad to be honest. As has been pointed out in this thread, I painted some of these on FM3 which means they've traveled with me through FM3-FM4-Horizon1-Horizon2 I could easily fill my storefront a couple of times over by just doing that. But then why paint anything new - I do drive in game and race (rivals mostly these days) actually set a time which was 13th on the leaderboard the other night much to my surprise. Painting is a lot of fun but it's time consuming especially if you want to make something that is really good, mostly I'm happy to settle for decent lol. Anyway you get my point I hope, if these came across to Xbone whenever I manage to pick one up, well SF would be full day one, bonus for me - but then well how long would it take for me to paint something new, erm could be sometime! I can remember painting like crazy when FM3 first came out as nothing from FM2 carried over - wasn't really a bad thing in all honesty. & Skygod765 that's exactly what I was like when I joined the forums. I'd played around in the paint booth, come up with some half decent comic images but nothing like the rest of the work that was popping up daily. I was generally in awe of everything that the other guys were all painting (& in some cases still am). But I had a go and persisted and talked to the other guys about how they went about doing something, whether it was shading or hair or layouts or logos. I never once had someone tell me to mind my own business, they were generally happy to share tips - post tutorials or in some cases even gift me a sample of something to look at. If you want to learn, start a post and see how many people chime in - I certainly would be happy to help and am sure other people on the forums would be more than happy to share their experiences. If you do delve in to the paint booth, have fun but remember it's really quite hard to leave once it's got you hooked! These are just amazing. I wish they were on the X1. Would love to try them out. Thanks for the words. I've done a couple of liveries I feel like are incredibly OK. Not great or good, just ok. I'll probably post them at some point to see what people think. In the mean time I lurk a lot and just keep messing around in the paint booth. @DM2006 These really are amazing works of art. Would you consider making a small comeback to Forza 4. There is still a small but good group of active forum members there. I know I for one would like to see your designs there and if not stop by and shoot the breeze with us. Thanks gents, not sure what's going on with my laptop but been trying to post on the forums for the last couple of hours one way or the other and it's having none of it. Showing it's age I think, xGG I may well swing by the Fm4 forums from time to time to try and steer someone in the right direction but not actively played the game for some time. I finished the bucket list achievement, which seemed to take forever and lost some of my love for the game in the process lol. I am enjoying horizon 2 at the moment, mainly because rivals mode is boosting my ego with pretty easy top 100 times - been there on other Forza's but not generally as easily or regularly as this. If it's a specific paint you want that's not in my SF I can easily swap discs to sort you out, just let me know and I'm there. Just bumping this as added a couple of designs to my SF (see first post) since I last posted in here. Had to swap out a couple that had been up a while to do it but hopefully you enjoy the new stuff. As I live and breathe, It's Spellbound! How's it going lad. Just seen your message on Live & replied. hi lol. sent ypu a message on live.